A growing body of experiments and simulations suggests that nuclear quantum effects play a fundamental role in chemical systems that are rich in light nuclei. They determine important phenomena such as isotope effects in liquid/vapour phase boundaries, in acid-base chemistry processes, and in biochemistry. Recent advancements in the computer-simulation techniques based on the path-integral formalism have opened the scope for their application to these systems. In fact, path-integral simulations have established over the years as a powerful theoretical tool in the research on various condensed matter systems, in particular on quantum-degenerate fluids and solids, such as liquid and solid 4He, electron gases, ultracold atomic gases, and dense hydrogen. 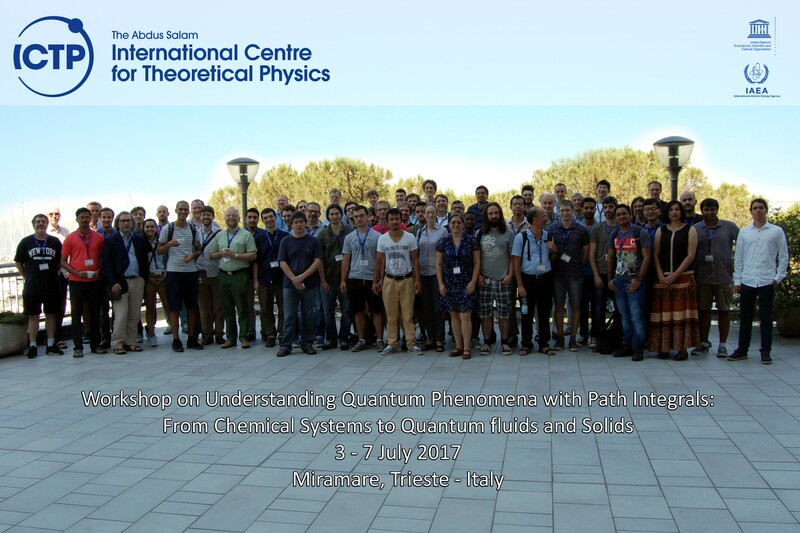 This scenario called for an interdisciplinary meeting where (bio)-chemists and condensed matter physicists could share their know-how on how to use path-integral simulations to gain insight into quantum phenomena. Accelerating the convergence of path-integral simulations. Developing higher-order path-integral decomposition schemes. Efficient simulations of macroscopic quantum phenomena (superfluidity and supersolidity). Isotope effects in aqueous systems. The program started with a short introduction given by two of the organizers. 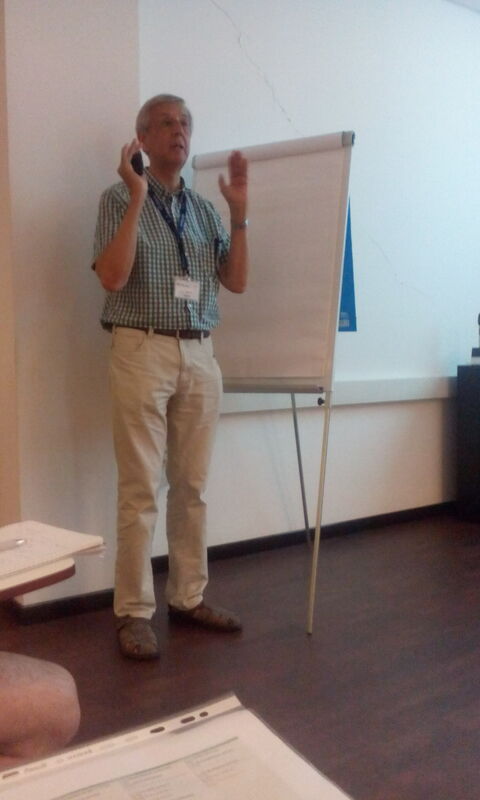 First, Michele Ceriotti (EPFL) introduced nuclear quantum effects and their description based on path integrals. Then, David Ceperley (University of Illinois) described path-integral techniques for indistinguishable-particles systems, both Bosons and Fermions. David Ceperley, organizer of this event. 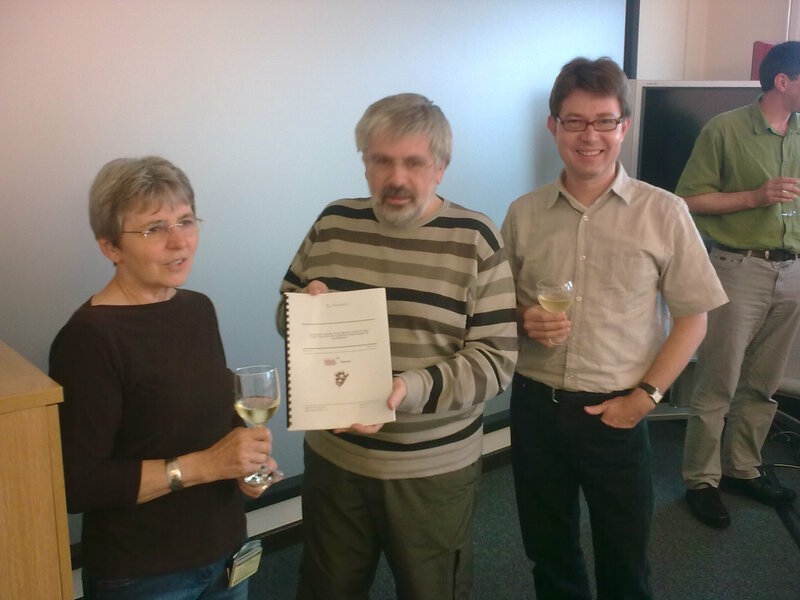 The program included 24 oral presentations given by invited speakers. These presentations were 50 minutes long (including 10 minutes for questions and discussions), so that speakers had the time to give ample introductions addressed to non-specialists, thus stimulating cross-fertilization between different research fields. All applicants had been encouraged to submit a research abstract with their application form, and the organizing committee selected, among many very interesting abstracts, seven of these contributions for 20 minutes-long oral presentations. 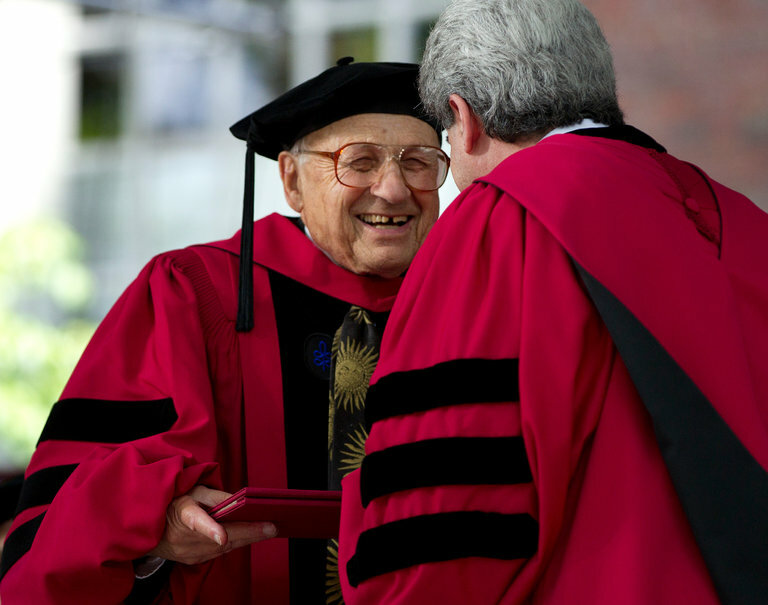 This gave other (often junior) researchers the opportunity to present advanced applications of path-integral methodologies. The program included also a flash-talk session, in which the 21 participants who presented a poster during the poster session had the opportunity to highlight their research and to further motivate attendees to meet them during the poster session. 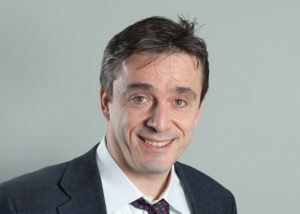 Among many outstanding scientific contributions, that one could mention, Sandro Sorella (SISSA) and Carlo Pierleoni (L’Aquila) described novel simulation methods for dense hydrogen. These methods account for nuclear quantum effects using path integrals, and simulate the electronic structure via a variational Monte Carlo method that computes nuclear forces (within a Born-Oppenheimer scheme). A new acceleration method allows Sorella and co-workers to speed-up the molecular dynamics, making it comparably efficient as other simulation methods that neglect the quantum nature of nuclei. 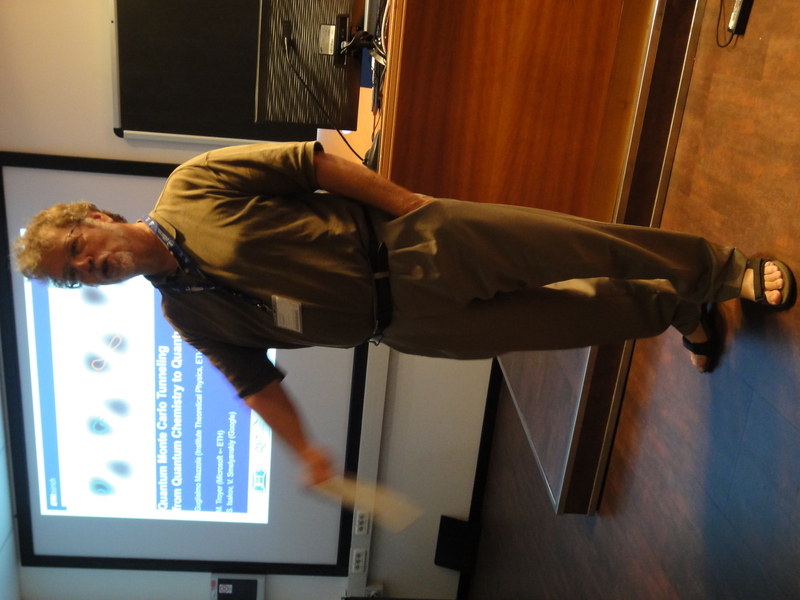 On the other hand Pierleoni, has used the Coupled Electron Ion Monte Carlo method. These methods have been used to describe hydrogen at high pressure and the simulations have been compared with existing results for the liquid-liquid transition at 1200K and around 200GPa. The two methods, using different algorithms, are in agreement. They show that realistic simulations based on QMC are nowadays possible and allow one to go beyond the DFT description. 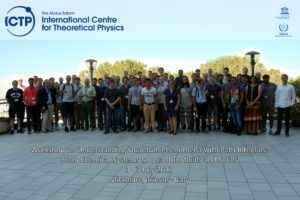 On the second day, Gianluca Bertaina (University of Milan) presented recent results obtained with the path-integral ground-state Monte Carlo (PIGS) method. Used in combination with a stochastic analytic-continuation technique named genetic inversion via falsification of theories (GIFT) algorithm, this method allowed him and his collaborators to determine the ground-state properties of a one-dimensional system of Bosonic particles interacting via a soft-shoulder potential. 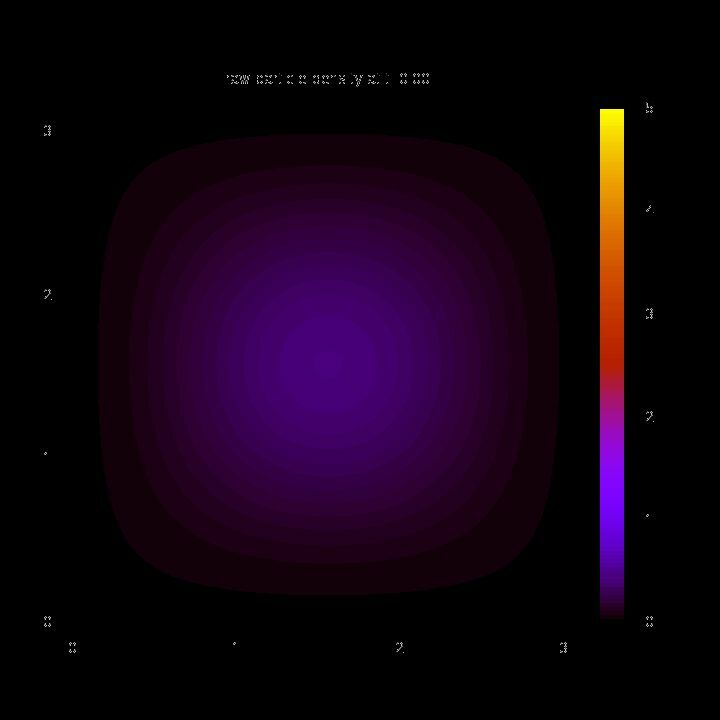 This model is relevant to describe ultracold Rydberg atoms. They have shown that various phases occur as the density varies. In particular, at strong interactions they observed cluster liquid phases, characterized by the spectrum of a composite harmonic chain. While conventional Luttinger theory is applicable at low density, here this formalism has to be adapted by changing the reference lattice density field, which leads to a peculiar decay of correlations (cluster Luttinger liquids). 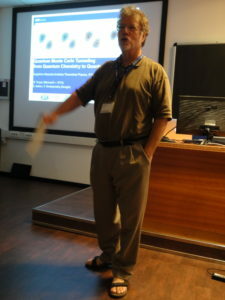 On Tuesday there was also a very interesting computationally oriented talk by Ondrej Marsalek from Stanford University. 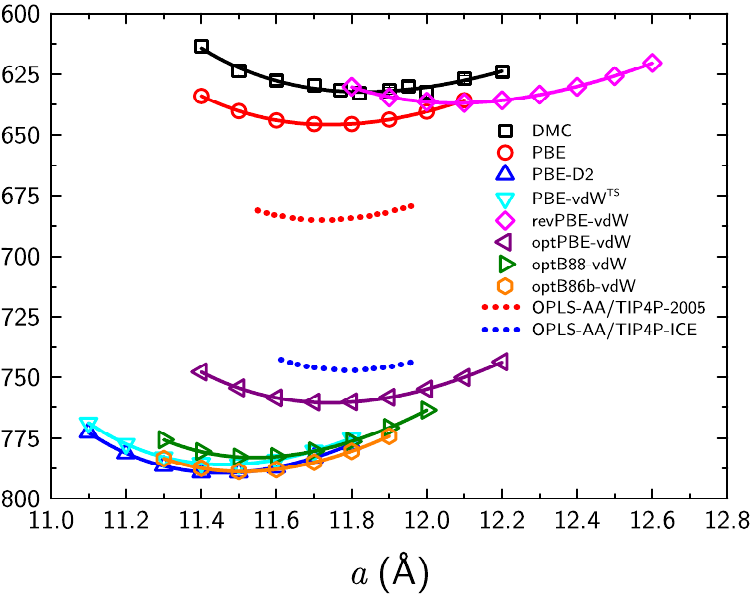 Using some new developments in the efficient simulation of path integral ab initio molecular dynamics, Ondrej showed some beautiful results on the infra-red spectroscopy of acid-water. 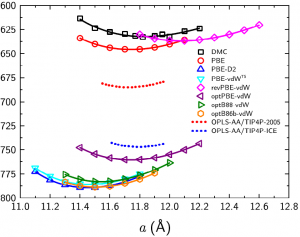 In particular, using a formulation which allows one to compute quantum dynamics (ring-polymer molecular dynamics), Ondrej and co-workers have computed the vibrational spectrum of low-pH water and used that to help interpret experimental spectra. On Thursday, Jordi Boronat (University of Catalunya), who has recently been awarded with the Feenberg medal 2017, presented a novel method, recently developed in his group, to extract dynamical ground-state properties from equilibrium path-integral Monte Carlo simulations. The key point of the method is the consideration of time as a complex variable whose phase acts as an adjustable parameter. Thanks also to the use of high-order approximations for the quantum propagator, it is possible to obtain Monte Carlo data all the way from purely imaginary time to values near the limit of real time. As a consequence, it is possible to infer accurately the spectral functions using simple inversion algorithms. This method has so far been tested for simple toy models and compared with exact solutions, showing promising results. 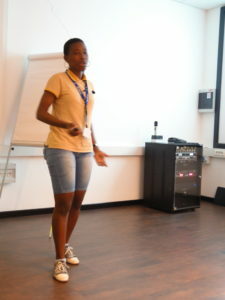 Estelle Maeva Inack (SISSA), contributed speaker. On Friday, Guglielmo Mazzola (ETHZ) and then Estelle Maeva Inack (SISSA&ICTP) presented the results of their recent research on quantum annealers, such as the adiabatic quantum computers recently commercialized by the Canadian company D-Wave Systems. Quantum annealers are quantum-computing devices designed to solve complex optimization problems via quantum annealing, a mechanism in which quantum tunnelling phenomena are exploited to efficiently explore a solutions space in order to (hopefully) find the absolute minimum of a cost function. It is not yet clear whether using devices of this kind one can obtain a computational (quantum) speed-up with respect to classical optimization algorithms. In fact, Mazzola and Inack have shown that in certain computational problems, which are dominated by tunnelling phenomena, the dynamics of quantum Monte Carlo methods such as path-integral Monte Carlo and also the diffusion Monte Carlo algorithm has the same efficiency of an adiabatic quantum computer. Their studies strongly suggest that quantum Monte Carlo algorithms are useful tools to investigate the potential efficiency of adiabatic quantum computers, and they also shed light on the nature of tunnelling within QMC simulations. These findings have implications also in other research fields where quantum tunnelling phenomena are under investigation, in particular in quantum chemistry. Mariana Rossi from Fritz Haber also gave a talk on Friday on using ab initio molecular dynamics with path integrals to understand the nature of hydrogen bonding interactions in a wide variety of systems. 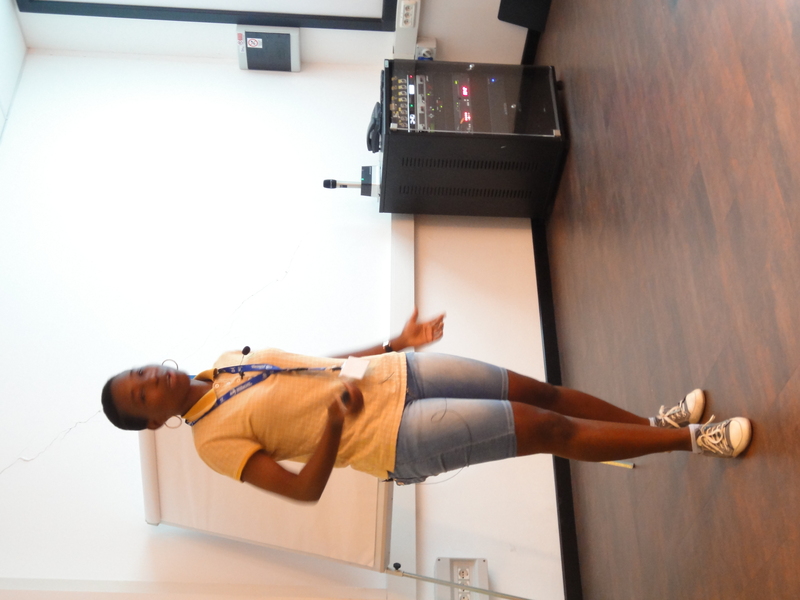 In particular, she showed some results on the effects on nuclear quantum effects in hydrogen bonding in the paracetamol crystal. She has been involved in the development of a python wrapper (i-Pi) that has now made it very easy and practical for people to use with different computational codes. Overall, this conference was an interesting and productive synergy of people working in the areas of physics and chemistry and we hope that it can be repeated in the future.